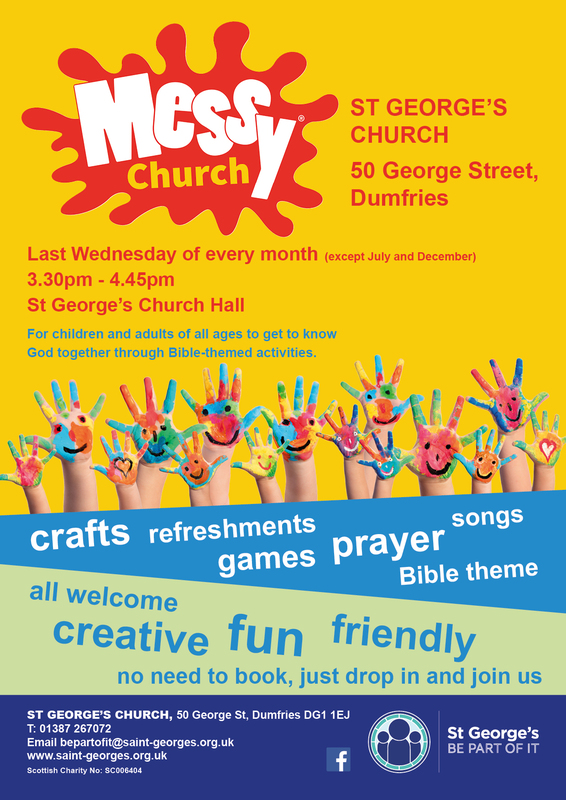 Messy Church takes places on the last Wednesday of every month except July and December. 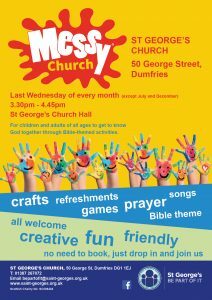 The next meeting of Messy Church will take place on 24th April at 3.30pm-4.45pm in the Church Hall. Adults and children of all ages are welcome. No booking required, just come along and join us. Contact: Louise Blackley or Ewen Flint. 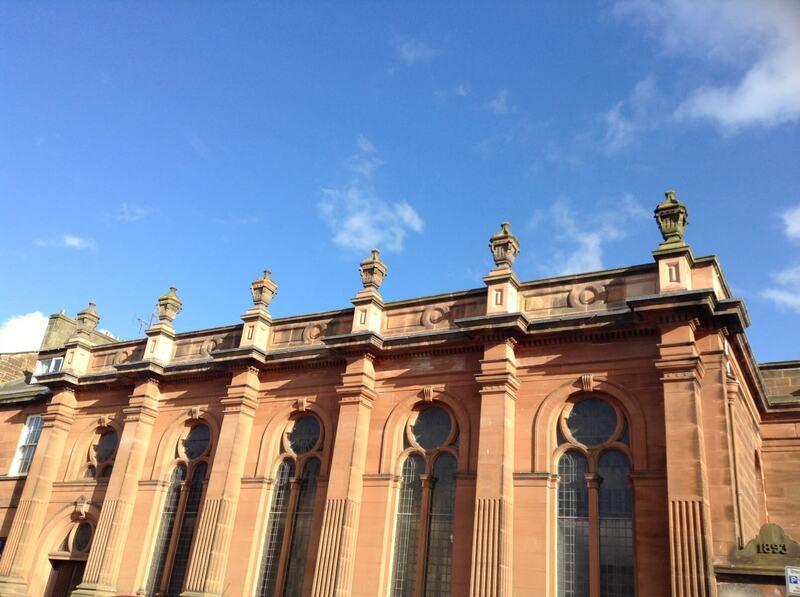 Copyright © 2015 Saint Georges Church Dumfries. Charity Number SCO 06404 All Rights Reserved.